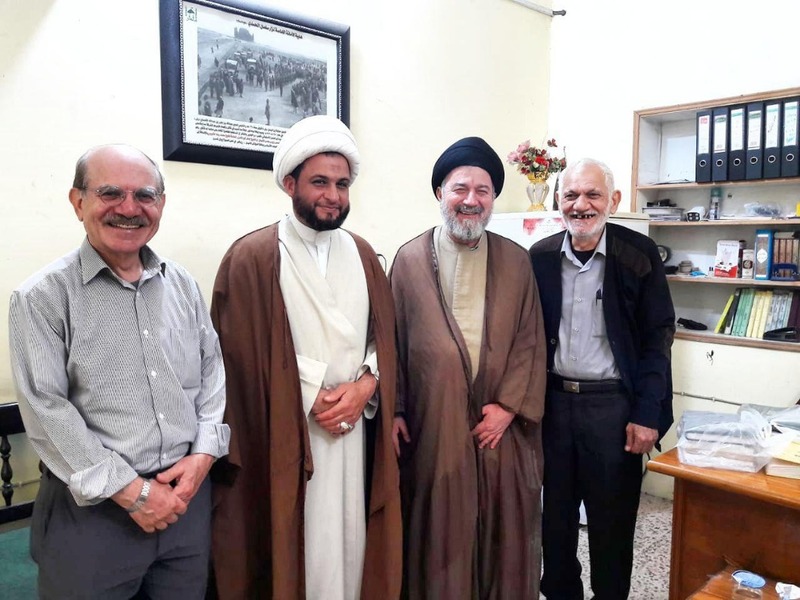 Sheikh Ahmed Allami, the Public Relations Manager of Grand Ayatollah Sayed Sadiq Shirazi in holy Kadhimiya met with Sayed Saleh Sadr, one of the descendants of Sayed Hassan Sadr, famously known as Faqih Kadhimi and the author of Takmilatul Amal. In this meeting, Sheikh Allami highlighted the role of the Grand Jurist Ayatollah Shirazi with respect to topics such as fighting terrorism and educating the youths. He also gave out some books written by the Grand Jurist to Mr. Sadr as a gift.